How to replace the filters? This is the best solution for desoldering small and medium-sized insertion components. The DI Control Unit and the MS Electric Suction Module guarantee a quick & safe desoldering process. 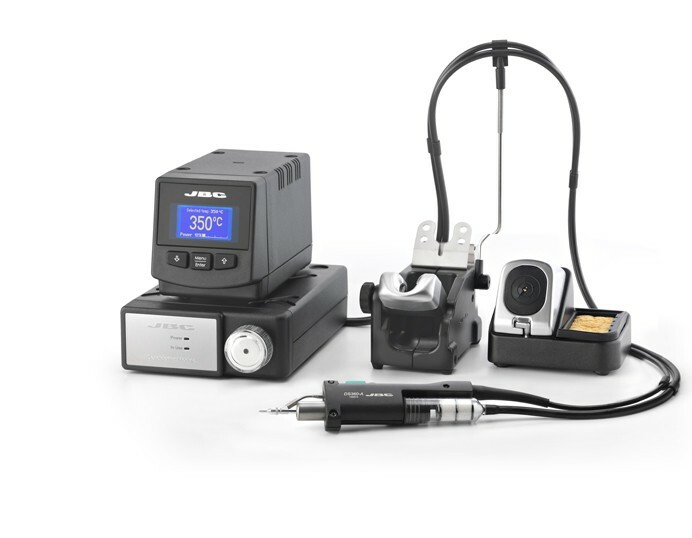 It works with the JBC JBC Most Efficient Soldering System and the intelligent sleep & hibernation features. This station works with the DS360 Micro Desoldering Iron and C360 tips.